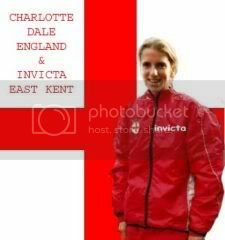 Charlotte began training with Invicta East Kent AC when she was eleven years old. She wasn't keep to begin with, just tagged along with her older sister, Lizzie. Both Dale girls trained with a coach called Colin Tomlin. 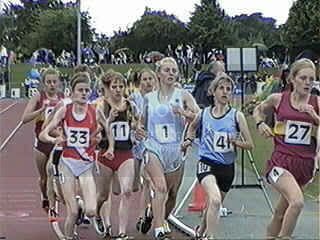 In 1996 Colin died, just after Charlotte won one of her first races, the Under-13 600m Kent Championship. Charlotte trained with some other coaches, until they joined James Robert's squad. Following this Charlotte won a number of Kent Championship titles including; 600m, 800m and 1500m and went with his squad to cross country meetings for the County and English Schools. 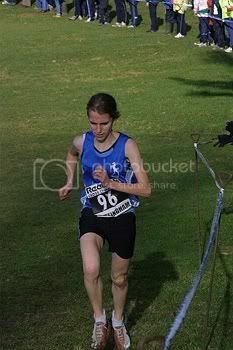 She was 18th in the Intermediate Girls Cross-country race at English Schools at Luton in 1999. Charlotte then became ill with an eating disorder and was made to stop running and was in hospital for several months. 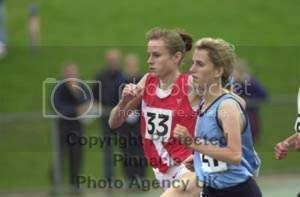 In 2000 Charlotte had won the AAA U17 1500m title in a personal best time of 4:30.87 and ran the fastest 3000m times by a British under 17 that year with 9:35.25 and 9:34.9 in a mixed race. 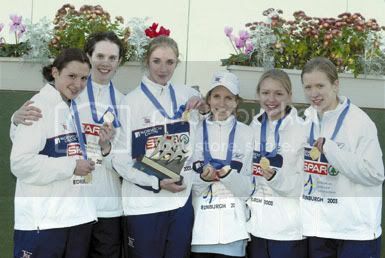 Great Britain Junior Girls' team took the team Silver medal at the European Cross-country. 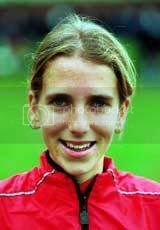 In 2001 she was 2nd in the AAA U20s and won the English Schools Track and Field (Exeter) title at 3000m before making her junior international debut at 3000m against France. 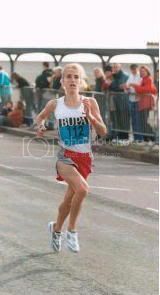 She then ran 16:38 for 9th in the Hyde Park 5km and clocked a startling 33:31 at Ashford in October (much the fastest by a British 17 year-old), to rank 6th in the British road lists for 10km in 2001. 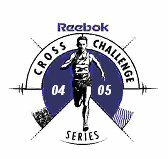 She was then a runaway winner of the Junior race at the first Reebok Cross-Country race of the season, as she won at Birmingham by 53 seconds and won again in the trial race at Margate. She led the British junior team to silver medals with a brilliant fifth place at the European Cross-Country Championships. 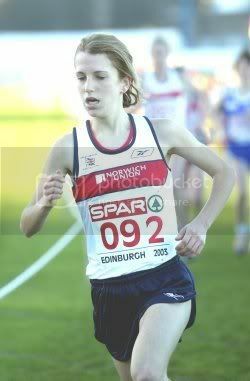 Charlotte started 2002 in brilliant style by winning the Kent junior cross-country by the astonishing margin of over 5 minutes, a junior international race in Lisbon by 24 seconds and the U20 Trials CC by 62 seconds. She won the European junior Cross-country in Edinburgh. Despite putting on another version of her one-woman wonder show – her first having come at Cardiff in the Reebok Cross Challenge meeting last month – Dale confessed afterwards: “I was still nervous about the race. My calves have been troubling me and my back’s been tight. But once I got into the race, I just tried to get away from the pack.” The ploy worked devastatingly: within 2km, she was 100 metres clear of a fascinating battle to impress the selectors, which have now invited the top eight to a Preparation Squad Weekend. She fared brilliantly against seniors when 2nd at the World 4k Cross-Country Trials. On her 18th birthday, at the World Junior Cross-Country she took the lead early in the race, but suffered cramp in her calf and fell back to 31st. Charlotte DALE who was celebrating her 18th birthday today and has been dominant amongst the Junior women domestically this season, began the race positively in pursuit of her aim of finishing top European. However she started to feel a sharp pain in her calf during the second lap of the three lap race, but battled on to finish 31st in a time of 22:01. Charlotte said: "I felt great on the first lap but then, on the second lap, started getting a sharp pain in my calf every time I put my foot down. I was determined to complete the race and just had to fight the pain to the finish." She made a brilliant track debut at 10,000m to win at Stretford in 33:10.6 to smash the British junior record and her first 5000m, at the Kent Championships, took her to 4th on the UK junior all-time list with 15:58.8. She also ran 33:05 and 33:06 for 10km on the roads and ended the year with a magnificent front-running victory at the European Junior Cross-Country in Croatia, leading the British to team victory. Charlotte rook the Gold medal the Junior Girls' race at the European Cross-country in Medulin. Great Britain Junior Girls' team took the team Gold medal. Charlotte Dale took Paula Radcliffe at her word yesterday by running from the front to triumph at the European Cross-Country Championships on the Croatian coast. The 19-year-old from Kent has a reputation for training hard - sometimes too hard - and she dominated the race to win by a second and lead Britain's junior women to victory. But, in a disappointing showing by the rest of the British squad on a course at Medulin battered by fierce gales, the only other medal was a team bronze for the senior women. 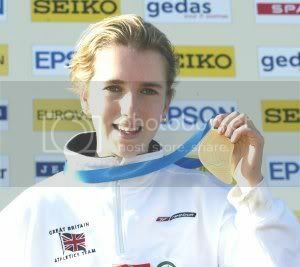 Radcliffe is the only other Briton to have won individual gold at these championships and her pre-race message was that the team could be the best in Europe. It was certainly the case for Dale, who cites Radcliffe as an inspiration and trains alongside the Olympic 5,000 metres silver medallist, Sonia O'Sullivan, at the St Mary's College High Performance Centre in Teddington. Dale was determined to make up for last year when she finished fifth after falling at the start. She said: "I was watching the floor this time until the field began to sort itself out. I hit the lead on the second lap but the wind was so strong in my face in the finishing straight, I thought I was running on the spot." A decade after Paula Radcliffe stood on the winner's podium at the World Junior Cross Country Championships, Charlotte Dale showed she might be the next breath of fresh air for British distance running. 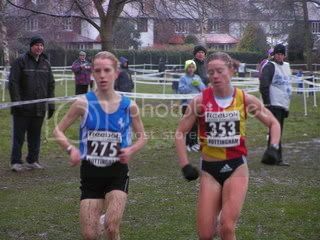 The Spar European Cross Country Championships rank only one tier below the global event in which, during a blinding snowstorm in Boston, Radcliffe climbed the first rung of the ladder which has seen her go on to become one of Britain's finest athletes of all time by the age of 28. Dale, the 18-year-old from Kent, showed the same strength of character in Croatia today to battle through a gale-force wind and - in the company of Freya Murray, Danielle Barnes and Rachael Nathan -add team gold to last year's team silver. It is the third time the British teenagers have come away from the European Championships as overall victors. But this could have been the individual victory which heralds the arrival of Dale, the British junior 10,000 metres record holder, as a genuine hope for higher honours in the future. Even in the last 50m when Finland's Elina Lindgren made a late dash from the chasing pack, Dale had looked unbeatable. "I knew there was someone catching up on me," she admitted. "But there was no way I was going to give the gold medal away. I just kept pushing as hard as I could. "After falling last year, I was determined to make amends. I got clear early and apart from the wind which must have hindered everyone else as well, I just maintained what I thought was a fast constant pace." 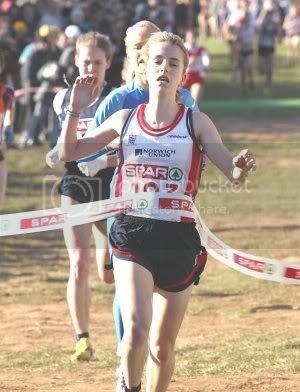 On the day Paula Radcliffe waited on the BBC sports personality of the year award it was appropriate that Charlotte Dale, the teenager identified as her long-term successor, should claim her first major gold medal with a victory in the junior race of the European Cross-country Championships in Medulin. The 18-year-old from Kent led most of the way in extremely windy conditions on a 3,750-metre course set alongside Croatia's Adriatic coast but had to fight hard in the closing stages to keep Finland's Elina Lindgren at bay and also lead Britain's youngsters to the team gold medal. 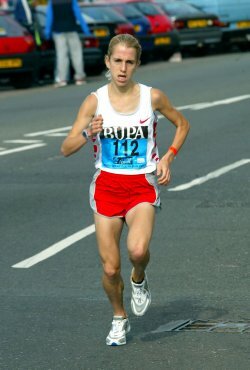 Dale's triumph evoked memories of a similar breakthrough when Radcliffe won the junior race at the world championships in Boston in 1992, a performance that marked the beginning of her international career, which peaked this year with a world marathon record in Chicago in October. Dale finished fifth in last year's European Championships despite being tripped early on but she suffered a disappointing summer during which she failed to qualify for the Commonwealth Games. She was later diagnosed as suffering from an iron deficiency, which was blamed on her being a vegetarian. Her early career was disrupted by anorexia and to combat this latest problem her doctor had suggested she started eating red meat. "It wasn't an easy decision," said Dale. "I do take iron supplements but I had to start eating liver, which wasn't very nice. But I'll do anything to help my running. I'm feeling stronger than ever." In another move which has contributed to her success Dale has relocated to the UK Athletics endurance high performance centre at St Mary's College in Twickenham where, among other runners, she trains with Ireland's Sonia O'Sullivan, the former world cross country champion. 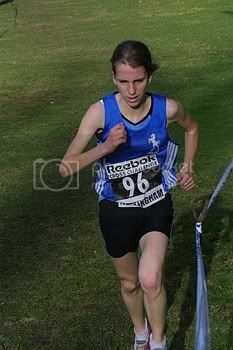 Charlotte is currently living and training at St. Mary's College Twickenham as part of the Uk Athletics Endurance squad. She trains twice a day, frequently with top distance runners including, when she is in England, Sonia O'Sullivan. Alan Storey, Sonia's coach is the squad coach at Twickenham. She also studies maths and English there. Tucked away in a small corner of south west London, St Mary’s college in Twickenham seems, at first, an unlikely base for some of the capital’s brightest young endurance athletes, when you consider the college doesn’t yet have an all-weather athletics track. But sometimes, an over-emphasis on facilities can miss the point; St Mary’s college is succeeding in nurturing young talent not due to space-age buildings, but thanks to a burgeoning partnership between UK Athletics, the EIS, athletes and coaches and the college. Since 2002, St Mary’s has been a satellite base for the EIS in London, offering applied physiology, strength and conditioning, physiotherapy, nutrition advice, performance lifestyle advice and medical care to a range of sports and teams, including the UKA Endurance athletes based there. Providing access to that level of service where athletes live and study, means that St Mary’s is more than the sum of its parts, as Mick Woods, UKA Performance Centre Manager explains. “It’s become a one-stop-shop, if you like. Athletes can live here, study here and access key services from the EIS on a daily basis – whether it’s physiology, strength and conditioning or physiotherapy. “Even with medical care – we have EIS Medical Director Roslyn Carbon and our own physician Bruce Hamilton here for one session each every week - athletes know that they can access a doctor twice every week on site, not just for injury problems but for other matters,” he said. St Mary’s has two full-time World Class Performance athletes based on campus – Mo Farah and James McIlroy. Beneath that top strata there is a group of World Class Potential athletes - Faye Fullerton, Charlotte Dale, Jemma Simpson, Stephen Murphy and Darren Sinclair, and they are all able to access support from the EIS on campus. “The key to the whole setup is a team approach between UKA, athletes, coaches and the EIS,” Woods says. “Because the athletes are here full time, it allows a greater deal of flexibility. “If, for example, an athlete needs some strength and conditioning work, Raph Brandon, the EIS conditioning coach can normally fit around somebody’s academic or training schedule. Similarly, that’s the case with physiological and physiotherapy support too. Primarily Woods’ role on campus is to make sure the athletes based at St Mary’s get the level of service they need to succeed at the highest level by working with athletes, coaches and EIS support staff. With a new all weather track due to be laid St Mary’s can only get better, according to Woods. She won her first race of 2003 in devastating style, as Charlotte Moore was second 1 min 16 sec behind her in the junior race at Cardiff. THE man on a bicycle who was surprised to find that, on his ride through Bute Park, Cardiff, yesterday, he was suddenly in the thick of the Reebok Cross Challenge probably had no idea as he departed that he had just helped in the training of Great Britain’s best young distance runner for a decade. But Charlotte Dale needed a bike and a UK Athletics official was not afraid to ask the stranger for a brief loan of his. Dale, in her first cross-country race since winning the European junior title in Croatia last month, had annihilated the field in the sixth fixture of seven this season in the popular domestic cross-country series, but the win was not enough. Dale wanted more. She had been persuaded against trying for the double by racing the seniors three hours later, but relaxing was not on her agenda. Had this been a 5,000 metres track race, Dale would have lapped the field. Over what was said to be a five-kilometre course, she drew away early to win by 1min 16sec from Charlotte Moore, the Commonwealth Games 800 metres finalist. 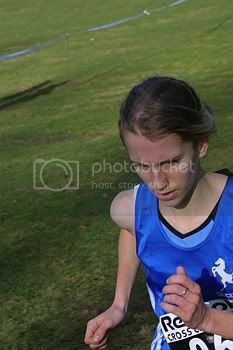 Although her time, 18min 39sec, suggests the flat course was over-distance, she still had plenty of running in her legs. Not since Paula Radcliffe was dominating home races in the early 1990s has a British endurance athlete shown such promise. Reluctantly accepting the wisdom of her coaches, Dale, 18, stood down from the challenge of the double and settled for a one-hour training run, accompanied by her stepfather on the borrowed bike. One that, in time, seems likely to see Dale overtake those of greater profile who finished behind her yesterday. Moore was celebrated by BBC Sport last summer for becoming the first British teenager to break two minutes for 800 metres while Kathryn and Bryony Frost, third and fourth in Cardiff, made the front page of a tabloid newspaper and BBC breakfast television. Unbeaten by any Briton in her age group this season or last, Dale will step up for her first senior international race against the Africans in Tourcoing, France, next weekend. “I am quite excited, but probably when I get there I will be terrified,” she said. 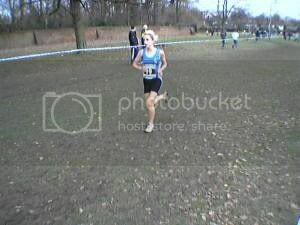 Charlotte was a clear winner (by 48 seconds) of the Reebok Inter-Counties U20 Cross-Country. Racing against seniors she was then second in the World Cross-Country 4k Trial race in Stanmer Park, Brighton. In another fine run she was 14th, and the first European finisher, in the World Junior Cross-Country, although outpaced by thirteen Africans. Charlotte Dale, who won the European Cross-country title last December and who was the first European to finish in the World Junior CC in March, ran a British junior best for 10,000m in 16th place in the European 10,000m Challenge in Athens on Saturday. The 10,000m has rarely been run by British junior women, and no record is officially recognised, but Charlotte is clearly able to compete at top-class senior level. Young athletes from countries like Kenya, Ethiopia and China tend to be more precocious, and the world junior record is 30:39.41 by Lan Lixin (China) in 1997. The European junior record is 31:40.42 by Annemari Sandell (Finland) in 1996. 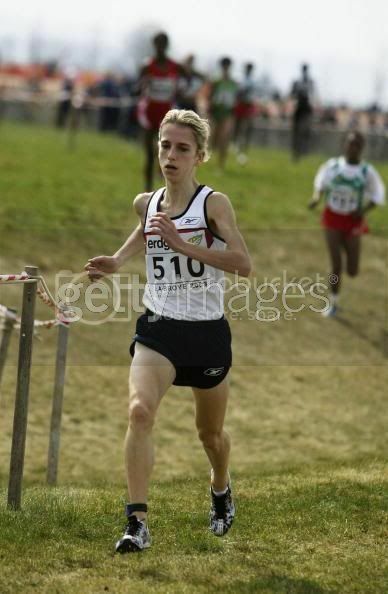 Charlotte Dale, the 2002 European junior cross country champion, was the top Brit in fifth, though she just failed to set a new personal best with her time of 33min 10secs. "Running here against some of the names I have only read about in the past has been a great experience," said Dale, whose career had been threatened by an eating disorder. "I am happy with how the race went, particularly as I was running for much of it on my own," added the 19-year-old, who now hopes to travel to the training base of Radcliffe in the French Pyrenees next month. "My aim this season is to win the European junior 5,000m title." Charlotte took the Bronze medal in the 5000m at the Spar European Junior Track and Field Championships. She broke her own British Junior record when 16th in the European 10,000m Challenge in 32:52.60 and was 5th in the Manchester 10km road race in 33:10. She took the European Junior bronze medal at 5000m in 16:07.26. Charlotte was second in the Great South Run in October, finishing in 54:28, behind Sonia O Sullivan. 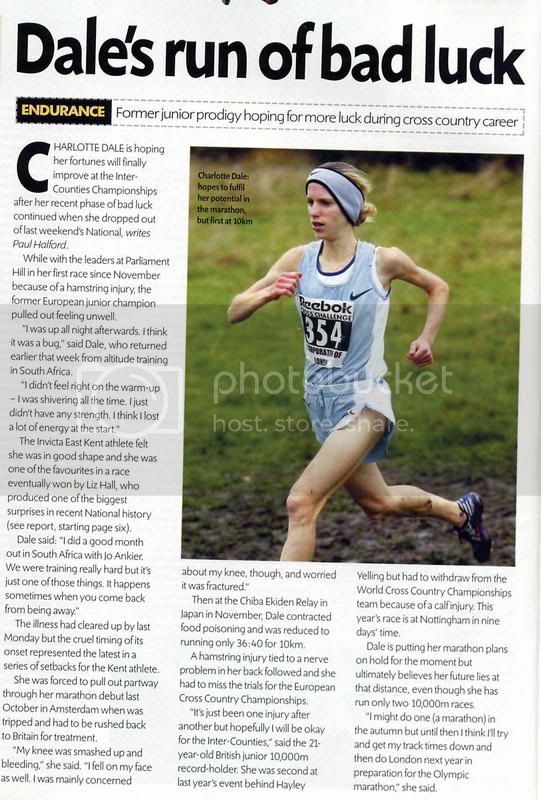 "Didn't she run brilliantly," said O'Sullivan of Dale, "Charlotte's so small, I'm surprised she wasn't just blown over," added O'Sullivan, who has been lending the European junior cross country champion from Kent lots of advice at their weekly training sessions. Finishing 31st overall in the mixed field and two positions ahead of Liz McColgan in the women's results, Dale 19, said: "I had an upset stomach before the race but once I got started it went away and I really enjoyed it." It makes her the third-fastest in the UK behind Paula Radcliffe (Bedford and County AC) and Kathy Butler (Windsor, Slough, Eton and Hounslow AC) in this year’s Senior Women’s rankings. Third placed teenager Charlotte Dale left Dublin knowing that on a flatter course she could have bettered her UK junior record of 33:10. Last year's European Cross Country junior champion was only 10 seconds shy of that time as she pushed Australia's Benita Johnson into fourth place. Doubts remain over whether Charlotte Dale will be fit enough to defend her European junior cross country title after she dropped out of her second race in three weeks with calf problems. Dale, a student at St Mary's University College in Twickenham where UK Athletics has its high performance endurance centre is due to defend her title in Edinburgh next month. But the 19-year-old dropped out of the trial race in Liverpool's Sefton Park last weekend and admitted: "I'm worried I won't be able to do it." Dale has been chosen by the selectors to compete in Edinburgh subject to her proving her fitness and will continue to receive treatment at St Mary's. 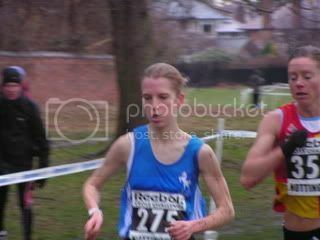 During the early stages of the junior women's 4km race in Liverpool, Dale showed no signs of the calf problem that had forced her to pull out of a senior women's race in Birmingham three weeks earlier. She opened up a 35-metre lead on the first, one kilometre lap, and was followed by fellow St Mary's student Faye Fullerton, who was chasing a place in the British team for the fourth time in her impressive career as a junior. After a further 500m, Fullerton was passed by 14-year-old prodigy Emily Pidgeon, from Gloucester, who then started closing on Dale. Pidgeon said: "Charlotte stopped and gripped her calf. 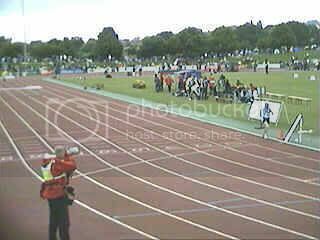 She ran on again for perhaps 50m then stopped." Pidgeon went on to win the race in 14 minutes and 28 seconds to gain automatic selection for Edinburgh. REIGNING Junior Women’s champion Charlotte Dale is desperate to repeat last year’s success in front of a home crowd, but fears injury could wreck her dream. Dale (Invicta East Kent AC) and Dani Barnes (Newquay and Par AC) helped win the Norwich Union Great Britain and Northern Ireland team gold medals in Medulin 12 months ago to follow the silver medals won in 2000 and 2001. But Dale’s preparations for tomorrow’s junior women’s race have been interrupted by calf problems which, despite the best efforts of her medical team, forced her to drop out of two races in preparation for Edinburgh. Her build-up has been far from ideal, but she said: "I got up to 90 miles a week in training before the problems started. I've cut down to between 50 and 60 a week up to the Championships. "I don’t feel very confident. But I would love to win it in front of a home crowd. I have been in better shape. It's just a case of getting these calves right and feeling good on the day." Among the star-studded opposition are three of the track golden girls from this summer's European Junior Championships, including the athletes who pushed Dale into third place in the 5000m. Silvia La Barbera, who won the race, is in the Italy team along with her twin sister, Barbara. Possibly an even greater danger is Latvia’s Inna Polushkina, who won the 3000m title as well as the 5000m silver medal in Tampere, Finland. Painful as they are, the sore legs troubling European Junior Cross Country Champion Charlotte DALE (Invicta East Kent AC) pale into insignificance compared with the obstacles she has already overcome. How her love of athletics eased the trauma of her first coach dying in a tragic accident is inspiring enough. But she also went on to beat a life threatening crisis of her own before she defied all odds to win the Junior Women’s race at last winter’s Spar European Cross Country Championships in Croatia. Now, as she prepares for her final race as a Junior, at the 10th Spar European Cross Country Championships in Holyrood Park, Edinburgh, on Sunday 14 December, the diminutive 19-year-old from Kent talks for the first time about the traumas that preceded her triumph, in the hope that her story will help to spur other teenagers to cope with problems life throws at them. “I’ve loved running since I was 12,” Charlotte says, sitting in her ‘second home’, St Mary’s College, Twickenham where she is one of the growing number of teenagers at the UK Athletics Endurance Performance Centre. “It was a terrible shock when he died. I was only 13 at the time. It took me a long time to get over him. In fact I still think about him now. But like many teenagers, Charlotte encountered eating problems as she grew – and they became so serious, she was forced to stop running. “I went down to 4 stone and I did start to run a bit faster. But I got so bad, I just couldn’t do it any more. “I was in hospital in ’99 because of it. I had running taken away from me for about a year. The fact that I was not allowed to run made me more determined, more dedicated. “I understood why they stopped me running; it was to get my weight up. I wasn’t in hospital long – six weeks, whereas some people are in for up to two years. They wouldn’t let me back into running until I proved I could keep my weight stable. Once her health stabilised and she went to St Mary’s, the first Director of the UKA Endurance Performance Centre, Alan STOREY, became her ‘meat monitor’. And she loves life among the other young athletes at St Mary’s. “I’ve always enjoyed training with older athletes. I do a lot of my runs with Stuart STOKES [the AAA 3000m steeplechase Champion] and Steve VERNON [the UK 4km Cross Country Champion] plus Kate REED, who had a great run at the Ekiden Relay recently – though I’m missing Sonia O’SULLIVAN [the Irish athlete, coached by Storey, who won the World 8km and 4km Cross Country titles in 1998]. She’s been training in Australia and I’m looking forward to seeing her again. “I got up to 90 miles a week in training before my calf problems started. Ironically, it’s because I’m putting on a little weight and my muscles are developing. I’ve cut training to between 50 and 60 a week up to the Euro Cross. 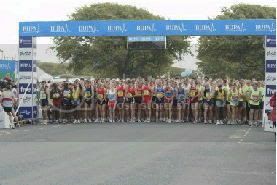 Now, despite the best efforts of two doctors, two masseurs and a mini army of physiotherapists, her calf soreness has forced her to drop out of two of her races in preparation for Edinburgh, though she finished 15th among the Senior Women in the Dunkirk International Meeting, France, on Sunday 30 November. Among the athletes lining up against her are three of this summer’s Spar European Junior Champions, including the athletes who pushed Charlotte into third place in the 5000m. Silvia LA BARBERA, who won the race, is in the Italy Team along with her twin sister, Barbara. Possibly an even greater danger is Inna POLUSHKINA (Latvia), who won the 3000m title as well as the 5000m Silver medal in the track championships. Also in the field is 2000m steeplechase Champion and World Junior record holder Catalina OPREA in a Romanian Team that also includes 1500m Bronze medallist, Corina DUMBREAVEAN. The Race: "Charlotte takes the Junior bronze"
Charlotte defied her painful calf problems to add an unexpected Bronze individual medal to the Gold she won last year at the European cross-country championships in Edinburgh in September. The race unfolded at an unremitting pace – stimulated by the brave Dale. She pushed on ahead midway round the opening 1425m lap, but was dogged all the way by European Junior 3000m Champion Inna Poluskina (Latvia). And when Faye Fullerton, Volha Minina (Belarus) and Viktoria Trushenko (Russia) threatened on the hill with around 800m to go, it looked as if Dale’s worst fears would be confirmed and she would finish without an individual medal. Yet just when her calves rebelled with the exertion of the hill climb, Dale’s determination shone as brightly as the morning sun. She stormed down the slope as if her very life depended on it – and comfortably held on to third in 16:04. 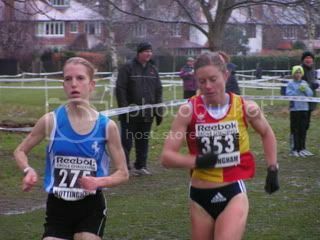 After her battling bronze at the European Junior Cross Country Championships, she ended 2003 with a British junior record of 26:27 in the Whitstable 5, where she defeated all the men. She switched coaches to former London Marathon winner Eamonn Martin at the end of 2003. 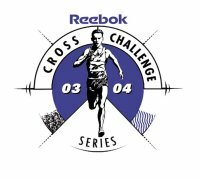 Charlotte started 2004 with ninth place in the Great North Cross Country but abandoned plans to make her marathon debut in London in April. Charlotte was 6th in the Junior/Senior/International/Veteran Women's race at the Reebok Challenge in Belfast, in a time of 19.36. At 19, Charlotte Dale's impact has so far come in cross-country, where her front-running style has earned her the unenviable tag of being "the next Paula Radcliffe". Alan Storey, her coach, believes that the marathon gives her the best chance of competing in Athens, although much will depend on her finding a solution to the calf injury which hampered her training for the European Cross-Country Championships. Dale, who has suffered with anorexia, has a problem with compartment syndrome, where the calf muscles are too big for their sheath. Tests will determine whether she needs surgery. Pre-race: Former European Junior Cross Country Champion, 20-year-old Charlotte Dale, could challenge. Dale has recovered well from injury to run good times at The Great North Run and over 10 mile distance in recent weeks. 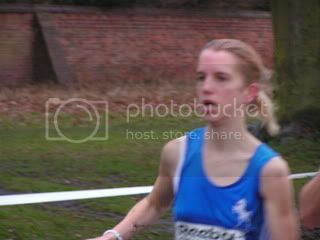 Charlotte Dale was second in the Senior Women's race at the Reebok Cross Challenge race in Birmingham. Pre-race: The first three athletes home in the Senior and Junior races will be automatically selected for the Norwich Union GB Team for the Spar European Cross Country Championships which take place in Heringsdorf, Germany on Sunday 12 December. 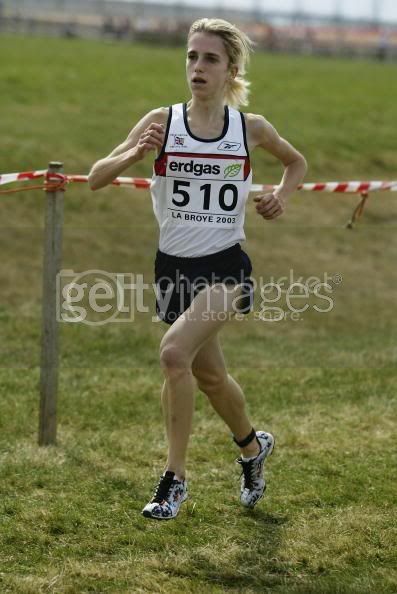 Charlotte Dale (Invicta East Kent AC), who was European Junior Cross Country Champion in 2002 and took the Bronze medal last year. 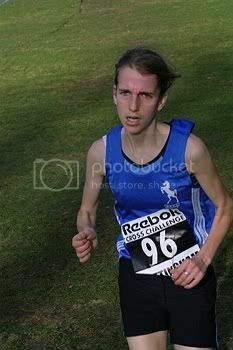 She finished second in the Reebok Birmingham Cross Challenge. Charlotte Dale was ? in the Senior Women's race at the Reebok Cross Challenge race at Parliament Hills, London. The mould for the women's 5 km race was set early on as favourite Hayley Yelling (Windsor, Slough, Eton and Hounslow) took it out from almost the start. Yelling, who helped Britain to win the team Gold medals in the senior women's championship at the Europeans in Edinburgh last December, held a commanding lead at the half-way stage with Natalie Harvey-Firth (South London Harriers) in second spot just ahead of Kate Reed (Bristol and West) with Faye Fullerton (Havering Mayesbrook), Helen Clitheroe (Preston), Charlotte Dale (Invicta East Kent) and Susan Partridge (City of Glasgow) in pursuit. English Cross-country relays - Charlotte Dale (Invicta East Kent) finished sixth in the Senior Women’s 7km race in 17:40, 33 seconds behind winner Sabina Mockenhaupt from Germany. Former European Junior Champion Charlotte Dale (Invicta East Kent) finished 85 seconds clear of the field at the Kent XC Championships at Sevenoaks. Pre-race: Senior Women’s 8km Championship: Running: The three medallists from last year are all in good form: Defending Champion Kathy Butler (Scotland East), who led home the Norwich Union GB Bronze medallists in Brussels 12 months ago, is back from her USA training base in good shape; last year’s Silver medallist Natalie Harvey (Surrey) won the IAAF Permit meeting in Diekirch, Luxembourg, a few weeks ago; and last year’s Bronze medallist Hayley Yelling has not only won the European title but also romped to victory in the English National. Challengers are plentiful. Among them: Catherine Berry (Surrey), based in the USA, is again entered after finishing seventh in this race 12 months ago; former European Junior Champion Charlotte Dale (Kent) was an impressive Silver medallist at the English National; Louise Damen (Dorset) has had two great years as a Senior after winning Inter-Counties titles as an Under 17 in 1999 and Under 20 in 2000; new Scottish Champion Collette Fagan (Scotland West), the Inter-Counties Under 20 Champion of 2000; former Inter-Counties and National Champion Tara Krzywicki (Leicestershire) is back towards her powerful best; Sharon Morris (Hertfordshire) has a consistent Inter-Counties record including fifth in 2000 and 2002, and seventh in 2003; and Susan Partridge (Scotland West), who is second in the Reebok Cross Challenge overall standings. Hayley Yelling won in a last minute sprint after battling throughout the race with Invicta's Charlotte Dale.